Last week: Nailed it! – Saturday was good all day and Sunday was even better than expected for the northern half of the lakeshore. Today: Been blowing all night and morning out of the NW to gale force. Huge waves and wind into the high 20’s and low 30’s should continue for the rest of the afternoon. This is for the entire lakeshore. The best spots would be on the south sides of piers like at Grand Haven St Park. Saturday: The big weather system will have moved out of the area by the early morning hours and the wind is going to switch around to the SW with warmer air temps and sunshine. The SW breeze should be around 10 to 15 knots by early afternoon for the whole lakeshore. A little on the light side for this time of year and after what we have been having. It will be interesting to see if there are any leftover waves still from the past few days. Sunday: Looks alot like saturday, but a little warmer and a little more wind. It should be 15 to 20 knots for the lakeshore out of the SW.
Hopefully everyone got out these past couple days or is still planning to today or this weekend! 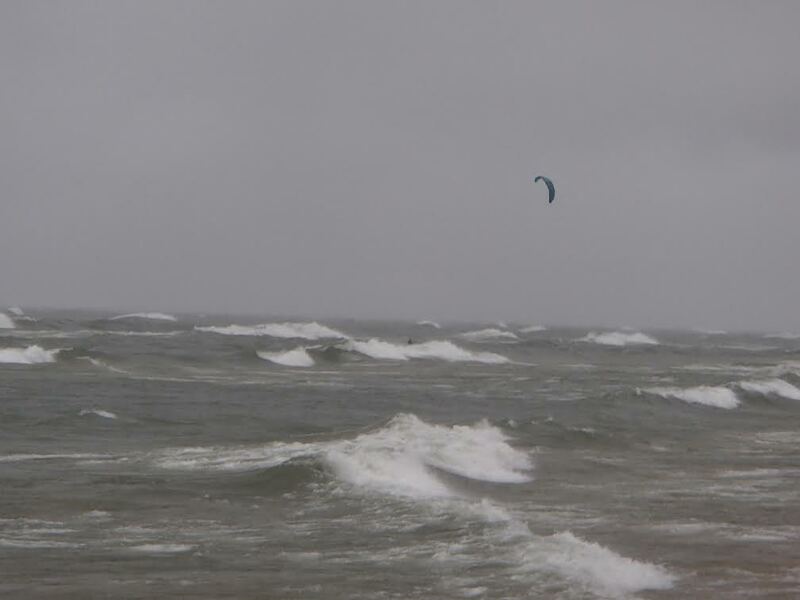 Just north of Holland State Park yesterday – Going out with a 3.5m Kite! 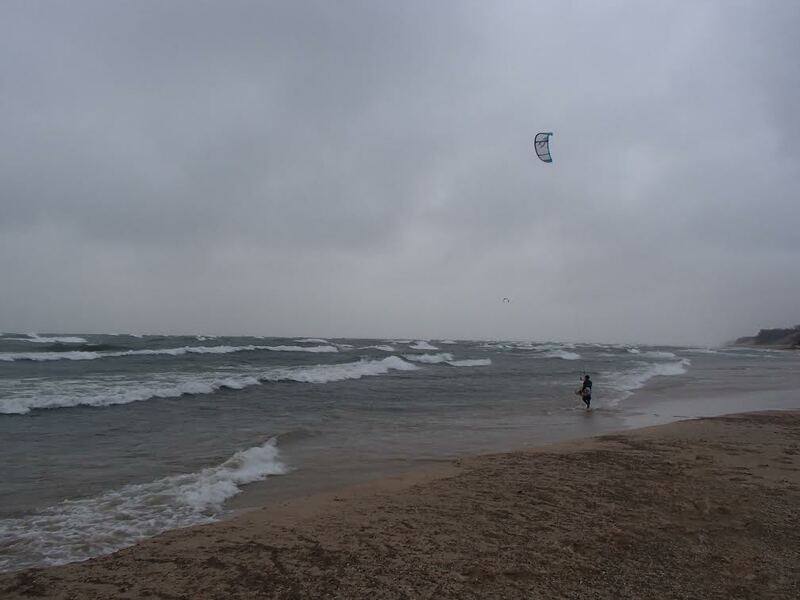 Previous Post Kiteboarding Storm Update!